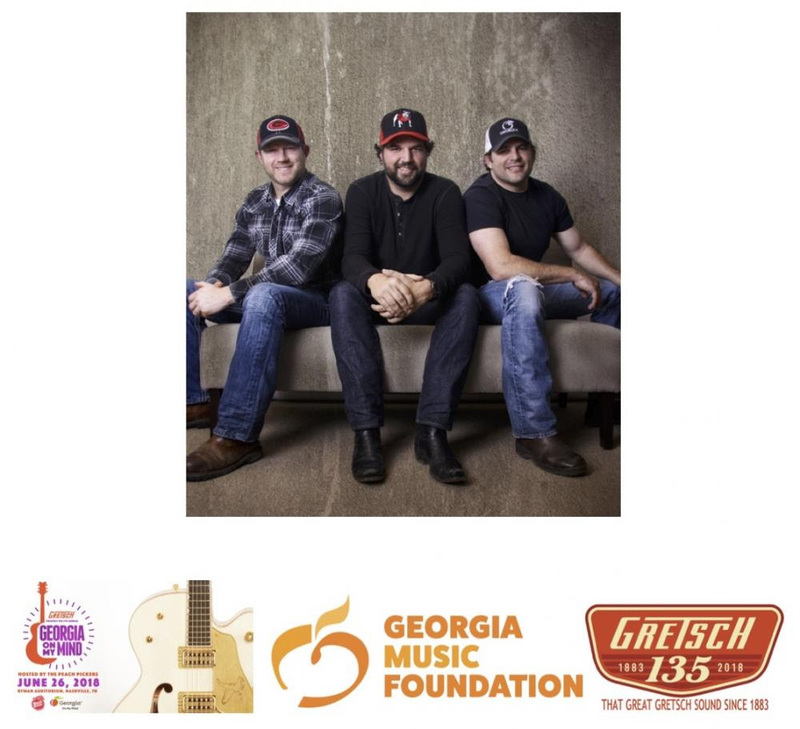 The Peach Pickers, Rhett Akins, Dallas Davidson and Ben Hayslip, are hosting their annual benefit concert, “Gretsch Presents the 5th Annual Georgia On My Mind” benefit concert at the Ryman Auditorium on June 26. Tickets for the event go on sale Feb. 23. The lineup for this year’s event will be announced in the coming months, and The Peach Pickers hand-pick a star-studded group of friends to celebrate the music of the Peach State at each show, with proceeds benefiting the Georgia Music Foundation. Tickets are $54.50 and $44.50 and will be available via Ticketmaster outlets, ticketmaster.com, ryman.com or by calling 800-745-3000. Nashville Songwriters Hall of Famers Pat Alger and Tony Arata will be on hand to perform and receive the Georgia Music Foundation Flamekeeper Award at the event, an award given since 2014 to individuals whose tireless work preserves and promotes Georgia’s musical roots and traditions. Past recipients include Jason Aldean, Deanna Brown-Thomas, daughter of James Brown, Karla Redding-Andrews, Dexter Redding and Otis Redding III, and Georgia Governor Nathan Deal.